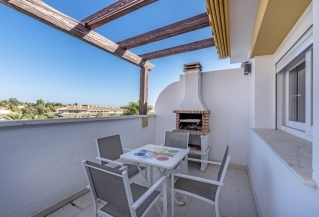 If you are looking to buy or rent in the Nueva Andalucía area and want to be situated within walking distance to all amenities and the beach, then La Dama de Noche is a fantastic choice. 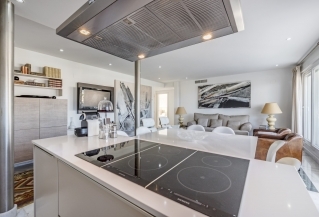 Here at Nordica, we have a superb selection of properties available in the development. 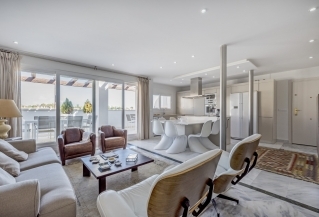 Set in an unbeatably convenient location, it is well-positioned on the outskirts of the prestigious Nueva Andalucía Golf Valley and within walking distance to the luxury harbour of Puerto Banús and the beach. 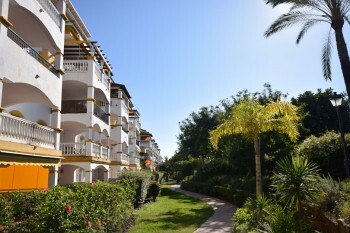 The location is unique in that it is within walking distance to all amenities; a car is not a necessity to access bars, restaurants and shops, meaning properties in this complex are great value for money. 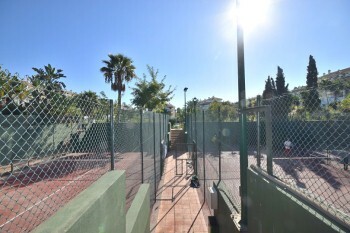 The complex itself offers pristine community gardens which are maintained to the highest of standards, as well as two huge swimming pools, sunbathing areas with plenty of sunbeds, padel tennis courts and a small playground for children. The development offers a good sense of security with a 24 hour guard, entrance barriers and video surveillance. There is underground parking available with lift access up to the apartments. There has also been a great new addition to the complex: a restaurant offering a small mini market has just opened on-site, serving delicious food from breakfast through to dinner! 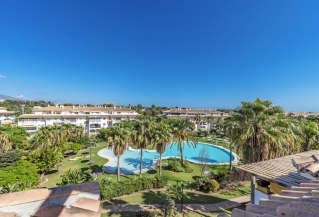 With a total of 14 buildings, the development has a real community feel and is very popular for both permanent residents and holiday-makers. The properties range in size from 1 to 4 bedrooms and there are apartments and penthouses available. All of the units we have for sale are in excellent condition and equipped with fully fitted kitchens, ample wardrobe space, marble flooring and double-glazed windows. This gorgeous complex could not be more conveniently located. 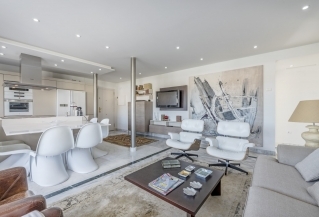 Puerto Banús is a pleasant fifteen minute walk away, with a fantastic selection of bars, restaurants, designer shops, supermarkets, a cinema and the harbour. 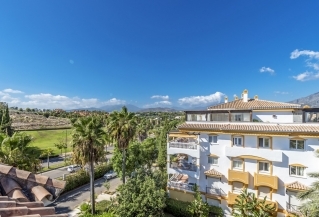 Marbella and San Pedro are both just a short drive in opposite directions and there are bus routes that pass right by the complex, making all surrounding areas easily accessible. For golf fans, there is a golf course directly behind the development; some of the properties even boast views overlooking it! There is also an extensive range of other top-class golf courses located very close by. We have a sales office located within the complex, so if you interested in buying in La Dama de Noche we are always on-hand, and more than happy, to assist you. 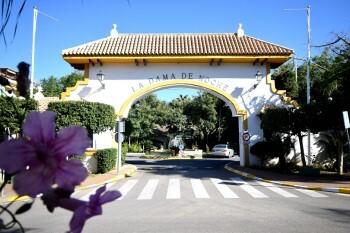 If you own a property in La Dama de Noche that you would like to sell or rent out then please let us know. We are always looking to update our books with new listings – both in sales and rentals – and since La Dama de Noche is proven to be such a popular option we would love to hear from you. 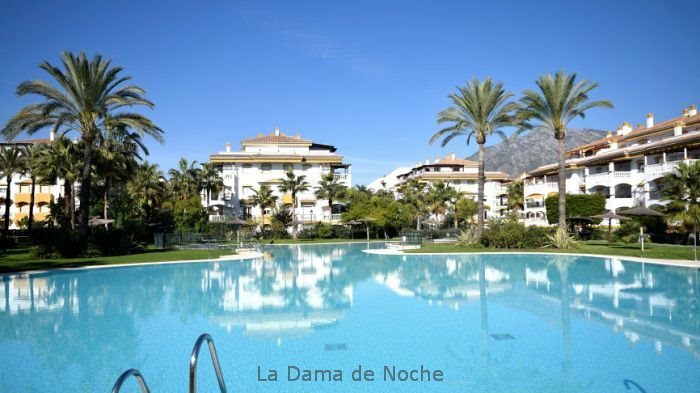 If you have would like any more information on buying, selling or renting property in La Dama de Noche, please do not hesitate to contact us. A member of our multilingual team will be more than happy to help you. Nordica has just opened a new office within the complex! We would like to welcome clients and owners to contact May (636 758 861), who will be working there, for more information.